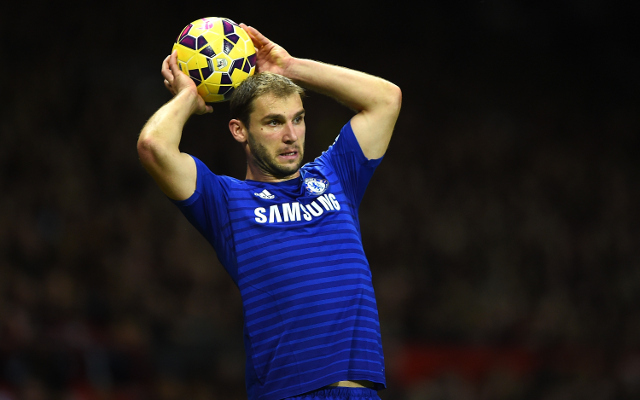 Chelsea right-back Branislav Ivanovic is wanted by Bayern Munich in the summer transfer window as his future at Stamford Bridge comes under some doubt. The experienced Serbian international has just one year to go on his current deal with the Blues, and looks no closer to renewing his contract with the club despite his fine form in the Premier League this season. Ivanovic has long been one of Chelsea’s most important players, but it may now be that the club are unsure over offering him too much money as he will be 32 next season and possibly heading past his peak. Still, Bayern are seemingly big fans of his, according to the Daily Express, and could pounce on his uncertain situation in London with an offer to bring him to the star-studded squad at the Allianz Arena. Pep Guardiola’s move to using Philipp Lahm in midfield instead of right-back could mean there is a place for the 31-year-old in his starting lineup.